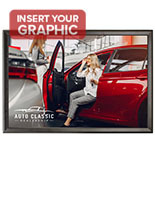 This Picture Frame is Designed for Business Posters, Advertisements, and Graphics! 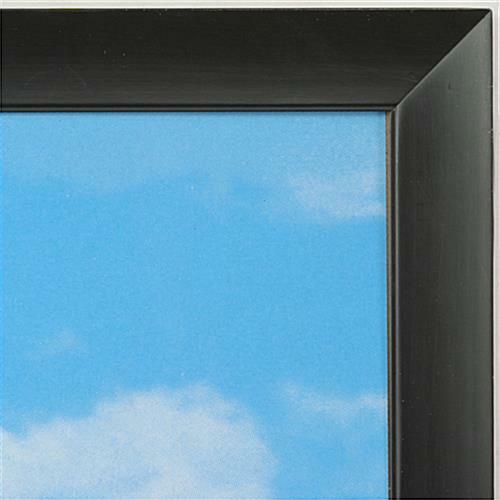 This Picture Frame Features a Classic Black Finish that will Blend into any Room Decor! More Discount Poster Frames Available For Purchase! Traditional picture frames with quick change backboard. Simple, yet Functional Frame Design. Clear plastic overlay included to protect graphics from damage. 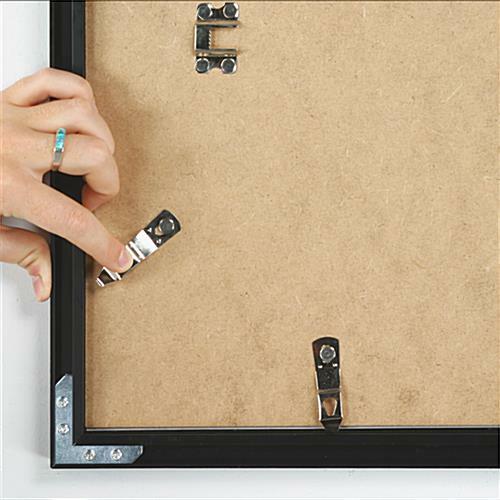 This inexpensive picture frame is easy to use and is perfect for fast graphic changes. To exchange images, merely turn the retainer clips and lift up the backboard. Slide images in between the plastic cover and the backboard. The plastic cover protects the images and deters damages. 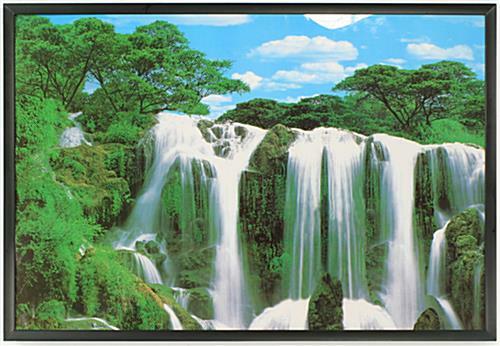 With this picture frame, you can display images in two varying ways: horizontally and vertically! This picture frame provides an easy way to exhibit your artwork! 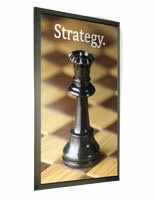 This picture frame is an affordable option for exhibiting 24" x 36" posters. 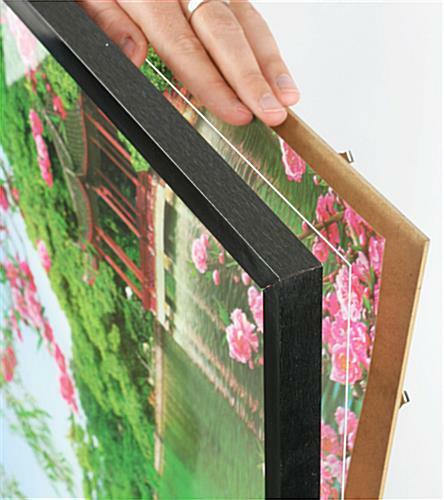 The picture frame, poster holder is fabricated from lightweight anodized aluminum. 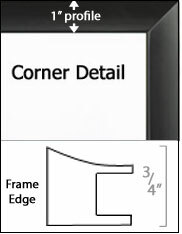 This picture frame also incorporates a rugged black anodized finish. This picture frame, also recognized as poster display, can be utilized to showcase posters, directories, pictures and announcements. This picture frame works well in most environments, including restaurants, offices, lobbies, hallways and universities. This picture frame is not only affordable, but it grasps clients' attention even from afar.